History Hoydens: The American Civil War: Not a Good Mix with Romance? The American Civil War: Not a Good Mix with Romance? My son's ideal day on his summer vacation---is spent wandering a civil war battlefields, reading all the stone markers and looking for shell casings that somehow have been overlooked by all the other tourists who have traipsed across the paths for the last 150 years. Needless to say, while he is wandering...so is my mind. I wonder why, after hearing all the stories, the first hand accounts of love and loss, great loss, and occasionally miraculous love stories that emerged from the war, why is this historical period almost taboo by publishers of romance? As historical romance writers, I am sure we have all heard editors and agents tell us "the American Civil War doesn't sell." We don't often write about it. Neither do we often read it. I wonder why not? Did Gone with the Wind say it all---is there no other great civil war romance left to tell? Medieval romance sells---a time period that was just as bloody and violent. But the American Civil War? Don't even try it, my agent says. So, I ask fellow Hoydens and romance fans, why no romance set in the American Civil war? What makes those stories sooooo hard to sell? I think it depends - like many things, who's writing it and how good it is. There's quite a lot of gay romance in the era and it sells well. I've done English Civil War. Perhaps the divided theme works better with men. Some writers don't want to do the seriously hard work involved to research war. That being said, there seems to be a fair few American Civil War romances (het) on Amazon. Fear of offending book buyers in the American South. There are still places in this country where a significant portion of the White population does not consider the outcome of the Civil War to have been a Good Thing. The difficulty of finding redeeming qualities in slave-owning Southerners? Interesting post. I hope you will take a look at my award-winning Civil War novel, which has climbed to #1 in its category on Amazon, temporarily overtaking Gone with the Wind (which usually sits at the #1 spot). It gives an accurate portrayal of both sides of the war, with a classic love story intertwined. Choosing to ignore one of the most important eras in American history does not seem reasonable or particularly wise. SHADES OF GRAY has just been bought by a major publisher and will be re-released next spring. I wish I could come up with one reason, a tag line explaining why American Civil War romance just doesn't have a market---I am sure there is some element of "the bad guys were us" --romance stories set against the backdrop of WWI and WWII don't sell in Europe either, I am told. Western romance sells---and those stories are often set in the same time period, but the American Civil War, or the American Revolutionary War for that matter, don't sell. I suspect the American Revolutionary War doesn't sell for different reasons, though...and the topic of another post! 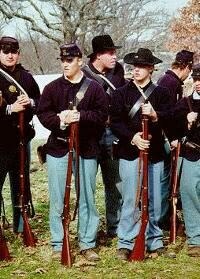 I have always found the American Civil War a fascinating topic. I remember reading a series by Cheryl Zach that forever solidified my love of historical fiction when I was in middle school. It was called The Southern Angels series (I'm from Ohio so reading about southerners was just like reading about Brits). The books were Hearts Divided, Winds of Betrayal, A Dream of Freedom, and the never published finale, Love's Rebellion. My first book, Catching the Rose, is Civil War-based, and I still hear feedback through the grapevine about how people are waiting for my next book. I think it's a tough niche to sell because so much of the country is still divided about it. But that shouldn't stop people from writing about that era, or enjoying a good read about that era. Gone with the Wind - nuff said. Very provocative post, Kathrynn. Belinda took the words out of my mouth: I was about to write (oh, heck, I'll do it anyway!) that it's a tough period to sell because our country remains in many ways divided, though I doubt we'll find many romance readers saying "Slavery! Yeah, Go team!" But the Blue and the Gray states have become Blue and Red ones (highly polarized politically in the last 20 years during the rise of Romance as a genre), and I daresay certain sensibilities remain. There certainly have been high successful novels about the Civil War era: -- GWTW was of course written several decades before Romance was considered a genre. Yes, COLD MOUNTAIN, too, but that's all South; the more interesting stories would be the romances between northern and southern men and women, but they'd be an extremely tough sell. And there is certainly the chance of offending certain readers in the deep South, a demographic that purchases many romances. Publishers won't take that risk. Another bestseller set during the Civil War is is not Romance (it's historical fiction with a twist). Geraldine Brooks's recent (and brilliant) novel MARCH tells one man's personal story of the war (through the eyes of the character we DON'T see in LITTLE WOMEN: the girls' chaplain father). But I think the reasons boil down to the fact that it's difficult (and one would have to be an immensely clever author) to romanticize the events of one of the most bloody periods in our own history. American readers are less enchanted with our own history than we are with that of other countries. We'll buy up scores of books set in an era where men far, far away, are slaughtering each other in the many battles of the Napoleonic Wars or the Crusades, but writing about the Yanks versus Billy-Bob and Bubba, brother against brother, while it might make for good literary fiction, hit too raw a nerve to stir our romantic sensibilities, and for that reason are not as commercially viable. I've always thought that it was simply because it's hard to create a plot and characters that will have mass appeal. I'm not sure you could get GWTW published today, or if you did, I'm not sure it would be a hit (it's also worth noting that GWTW isn't a romance by our current definition; it's historical fiction, and the rules over there are a bit different). I went to college in the South and a LOT of people there still call it "the war of Northern aggression" with perfect seriousness. They don't want to read a book about heroic Yankees saving the Union. And the rest of the country really doesn't seem too keen on reading about the heroic slave owner defending his way of life. I think a talented writer could write a book that would work, but getting readers to buy it would be a huge hurdle. If someone publishes an eBook that sells well enough to make NY take notice, this may change though. Thanks, Leslie and Kalen, for your comments. I think too an interesting love story would be one between a Northern and Southern hero and heroine. I'd make it after the war, though. Real time would just be too tough---and Kalen, when I was touring the battlefields just last month, I a overheard fellow traveler say (with perfect seriousness), "This is one war we never should have lost." I was speechless---first because she said it like the Civil War happened yesterday, and second because she said it like her life would have been so much better if things had never changed. I am willing to bet a true romance, by our current definition, will not be written in my lifetime. Maureen MacKade had a very good book set at the end of the Civil War and shortly thereafter. IIRC it was called "A Reason to Love". The heroine volunteered as a nurse in Southern military hospitals and had what we'd today call PTSD as a result of her experiences. I thought it was very well done, and I liked the role reversal, with a war-damaged heroine rather than hero. McKade managed to create a sympathetic yet realistic portrayal of the immediately post-Civil War South that was as far from the moonlight and magnolias of GWTW as possible yet which vilified neither side. It's the first and (I thought) the best of a trilogy. @Western romance sells---and those stories are often set in the same time period . . . .
Ah, but "the Western" is all mythology, legend and romance, in much the same vein as Arthurian legends. Not so with the popular sense of the (very un)Civil War: it's way too "serious" for something like romance. It seems that the words "civil war" are the stigma; set the romance in 1862 draft riots of New York or Boston and see what happens. In the 1980's and the early 90's, there were actually quite a few romance novels set during the American Civil War. Two that I remember vividly were Heather Graham's One Wore Gray and One Wore Blue. But then I think that publishers and readers went off them for some reason. It seems to be an easier sell in historical fiction. Certainly John Jakes trilogy that started with North and South sold well, and it had plenty of romance in the books. Constance O'Day Flannery wrote several time travel romance that takes place right after the end of the civil war (Time Kissed Destiny and Time After Time, to name two). The hero of Time Kissed Destiny was a spy for the South and his brother fought for the North, so she does discuss that problem in the story. She also has another one, Timeless Passion, which takes place in 1856 New Orleans. Very thought-provoking post, Kathrynn, and great follow up discussion. As Leslie says, it's a difficult period to romanticize. On the other hand, I think powerful love stories can be told against the background of serious events seriously treated.